From time to time, we come up with ideas for projects that we find really intriguing. Many of these ideas are completely infeasible but they still bring us lots of joy to plan out what it would be like if we were to go forward with them. What you will find on this page is an example of the kind of work we can do for you and your great ideas. We hope this gallery of infeasible ideas brings you as much joy as it does for us and maybe it sparks a little bit of an idea for you as well. The founder of High Gravity Consulting takes a trip to Sandusky, OH every fall to visit Cedar Point, the premier roller coaster park in the country. This group of friends has made a yearly pilgrimage since 2001 and the journeys show no sign of stopping any time soon. It was during one of these trips, while standing in line playing with his iPhone, that our founder realized that the technology now exists for theme parks, or really any business that uses long queues for its customers, to have interactive solutions for its customers to pass the time in line. My Author Watch aggregates publication information and sends notifications to subscribers that new books from their favorite authors will be coming soon. Never again will a reader miss a publication; they'll be the first to know! 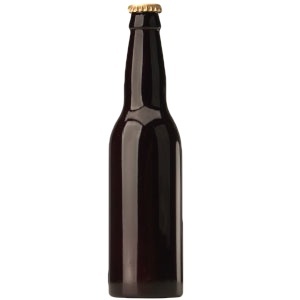 Beer aficionados love finding that rare brew they've really wanted to try but no store ever seems to keep in stock. There is a sense of achievement, knowing that the next time a friend brings up that particular beer, you can actually say you've tried it and can say if it lived up to the hype or not. But how can you find these elusive beverages? Some beer websites have forum areas where beer lovers can post "Want Ads" to help beer tasters find those unique tastes, but no site exists to facilitate those trades... until now.